After two years, Apple has updated its iMac lineup with faster processors and graphics. The 21.5-inch iMac gets 8th-generation quad-core, and for the first time 6-core processors, that promises up to 60% faster performance. The 27-inch iMac now for the first time features up to 9th-generation 6-core and 8-core processors, including 8-core Intel Core i9 processor (Turbo Boost up to 5.0GHz) that promises up to 2.4x faster performance. 21.5-inch iMac gets Radeon Pro Vega 48 graphics for the first time, offering up to 80% faster graphics performance. 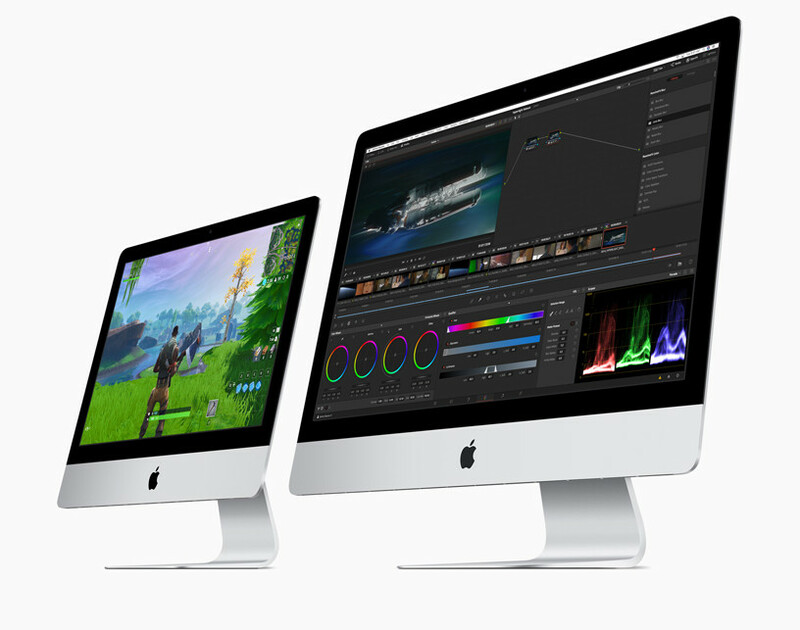 The 27-inch iMac with Radeon Pro Vega offers up to 50% faster graphics performance for graphics-intensive workloads such as developing 3D content, editing videos with complex effects or designing high-resolution games. The 27-inch Retina 5K (5120 x 2880 pixels) iMac and the 21.5-inch Retina 4K (4096×2304 pixels) iMac feature 500 nits brightness and Wide color (P3) color gamut and similar specifications as the other iMacs. The new 21.5-inch iMac with Retina 4K display starts at Rs. 1,19,900 ($1299 in the US) and the new 27-inch iMac with Retina 5K display starts at Rs. 1,69,900 ($1799 in the US). Both these will be available starting next week, through Apple Authorised Resellers.